As Pfc. 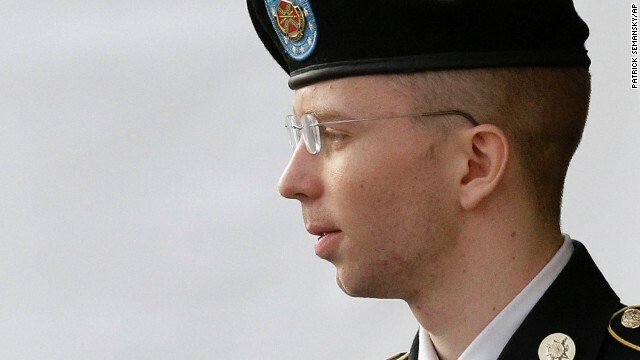 Bradley Manning's sentencing phase began Wednesday morning, the convicted leaker has already tallied 1,274 days behind bars. The question now is how many more of the potential 136 years he'll serve. The military will give Manning credit for each of his 1,162 days of pre-trial confinement, plus the judge, Col. Denise Lind, credited Manning with an additional 112 days for the harsh treatment he suffered while being held at a Marine Corps Base Quantico brig. The defense has also filed motions to have four of the charges on which he was found guilty merged into two. Lind isn't expected to rule on that motion before Friday. Lind acquitted Manning of the most grievous charge of aiding the enemy. Had she convicted him of that one charge, he could have spent life in prison without the possibility of parole. 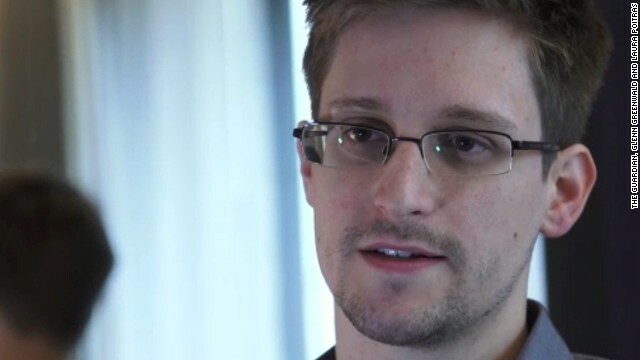 Edward Snowden spoke out for the first time since fleeing to Moscow, according to a statement attributed to him that was released by the anti-secrecy group WikiLeaks. In it, he attacked President Barack Obama and vowed to continue leaking information on government collection of data. The State Department says Snowden is not stateless, noting that he is still a U.S. citizen even though his passport has been revoked. Pfc. 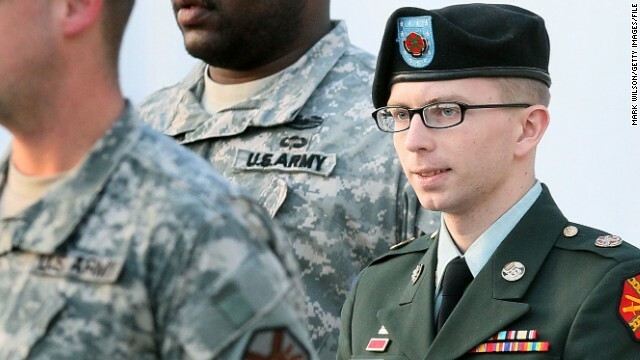 Bradley Manning has begun testifying at his pre-trial hearing about his alleged abuse at Quantico. The Army private, accused of stealing thousands of classified documents and leaking them, spoke in a clear voice at the start of his testimony. He was wearing his Army service uniform, wire-rimmed glasses. Manning's defense team wants to make the case his harsh treatment in prison should count as time served. Earlier, a military judge ruled Thursday that new charges would have to be filed before Manning could enter a guilty plea to some lesser charges. The defense has said it plans to have Manning plead guilty to lesser offenses and fight other charges as being too extreme. At a pretrial hearing at Fort Meade the military judge, Col. Denise Lind, noted that only some of the offenses Manning is proposing to plead to are included in the current list of charges. If he were to plead guilty to these charges he would face a maximum of 16 years in prison, loss if pay, demotion to private and a dishonorable discharge. But the judge decided other charges the defense proposed Manning plead to are irregular and would not be accepted unless a convening authority were to refer the charges to the court. Manning has not officially told the court he will plead guilty to the charges. U.S. Army Pfc. 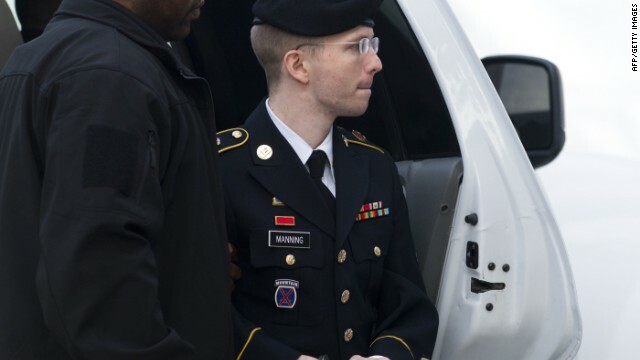 Bradley E. Manning arrives for a court hearing in Fort Meade, Maryland. 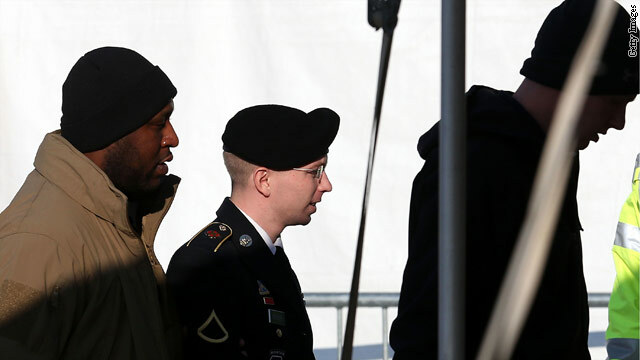 The officer who oversaw security at the military base where Army private Bradley Manning was held for a time said on Wednesday he was not pressured by superiors to keep the accused WikiLeaker in a high-level lockup and under constant watch. Manning's lawyers are trying to get the case thrown out - or at least any sentence reduced, if he's convicted - by claiming he was mistreated at the Quantico brig from July 2010 until he was moved to the military prison at Ft. Leavenworth, Kansas, in April 2011.